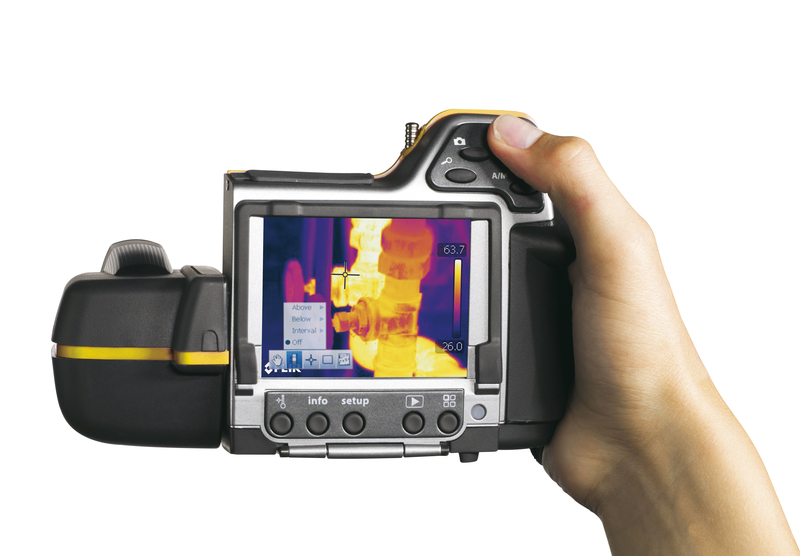 Thermography is the use of an infrared imaging and measurement camera to “see” and “measure” thermal energy emitted from an object. Thermography cameras can identify problem areas that can’t be seen with the naked eye, detecting hidden water leaks. The infrared inspection camera can detect not only hidden water leaks and their origin, but also moisture that cannot be physically reached with moisture meters. The trace gas, is a safe mixture of hydrogen and nitrogen, it is introduced into the pipe with the suspected leak. The gas, is the lightest in the atmosphere and is made up of small molecules. The gas will exit at the leak and make its way to the surface where it is detected using gas sensitive detection probes. Acoustic leak detection is perhaps one of the most commonly used forms of leak detection to find leaks in mains water supplies and pressurised plumbing systems. This system allows for the locating of the loudest point of the noise by using highly sensitive microphone to pick up the sound. Acoustic detection equipment can be used alone or in conjunction with other methods offering incredible detection accuracy without destruction to walls and floors. The use of equipment like endoscopes (fiberscope) makes it possible for us to see in places the human head simply cannot fit! Cameras get smaller and more versatile every year enabling us to get a clear view through the tiniest or most inaccessible gap.The scope can be guided through hollow spaces, bore holes and bends. In this way the damaged point can be appraised with minimum dismantling of the building fabric. Often the exact position of pipes and cables is unknown due to inaccurate or non existant network plans. In order to carry out precise water leak detection and to avoid damage to utilities and operators during excavations, it is essential to know the precise position of all services. We use high performance equipment which can locate and trace buried pipes and cables.